How long can an MRI? How quickly will be able to leave the diagnostic center after completion of the study? MRI does not apply to those procedures that a person does often, so questions about how long it takes study and how much time it takes, visitors are often concerned diagnostic centers. Especially important is the duration of the procedure for patients who are hard to tolerate closed spaces and those who find it difficult to be in a fixed position. Time is important for children because they are particularly difficult to fulfill the conditions of procedure. As with MRI, you can do a survey of many body systems and each of them requires special treatment, the procedure time can vary significantly. In addition, the procedure can be extended if the study makes a contrast, as well as in the diagnostic search of some pathologies requiring thin sections and additional modes of inspection. In addition to the procedure itself, you will need time for paperwork and conversations with the medical staff of the diagnostic center. After the procedure the patient will have to wait until the doctor evaluates the results of the MRI and makes a decision. If the MRI is performed with the child under anesthesia, remain in medical institution will be necessary before the expiration of the anesthetic funds. To come to the diagnostic centre twenty minutes before the scheduled time. As to the procedure, the doctor, the radiologist will hold a conversation with the patient to verify the absence of contraindications. The MRI staff will explain the rules of conduct during imaging and will provide answers to all questions. You will also need time to measure the patient’s weight to calculate the dose of contrast agents if MRI with contrast is planned. A nurse or administrator of the center will be filled in demographic information (passport details, address, policy number and date of birth and phone number). If the study is done in a private center, the patient will need to review and sign a contract for the provision of services. The time spent inside a magnetic resonance imaging depends on diagnosis of what the body is held and for what purpose. The average duration in standard mode is around twenty to thirty minutes. If it is necessary for the diagnosis of the serial application of several modes, the additional planes of examination, and thin sections, the research time may be forty minutes and even hours. More hour examination, when inspected several systems of the body such as the abdominal and thoracic cavity or together with the brain running a diagnostic finding in spinal cord. In addition, the duration depends on the settings of the machine on which the study is done. 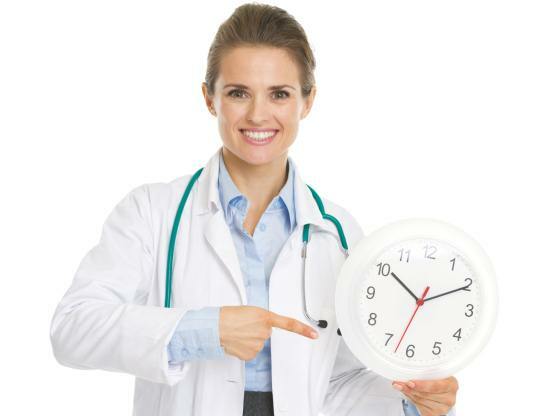 The exact time of the procedure it is possible to find out from the doctor the radiologist, who will perform the examination. Often visitors are concerned with the question: «How much time it will take the radiologist to the transcript and description of the pictures, and when the result is ready?». Transcript and description of the images takes approximately ten to fifteen minutes. But complex cases, for example, find abnormal areas in the brain in epilepsy or detecting small metastases of the tumor, may take considerably more time. Then wait for the result will have thirty minutes, and even hours. READ CT neck: what the survey shows? If no time, can not wait until the result is ready, you can return them to specified staff time, or take the result the other day. According to the preliminary arrangement with the centre staff and the MRI results (pictures, conclusion, drive or flash card) can be obtained by e-mail or Express delivery. To stay in the hospital for thirty minutes after the study will have to if you do an MRI with contrast. Especially if a contrast injection is performed for the first time. The use of anesthesia requires additional time. Likely to to visit the diagnostic facility will be required the day before for inspection by the anesthesiologist and advice on how to prepare for anesthesia. To arrive at the MRI centre must be for the hour before the study to a physician anesthesiologist was able again to see the patient and perform anaesthesia. After General anesthesia to remain in the hospital under the supervision of a doctor is necessary within two hours. During this time, you will have a survey. 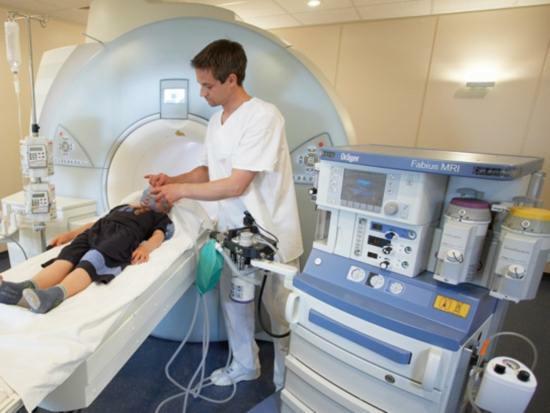 To calculate the time it will have to spend on MRI alone is difficult, therefore, if the time frame is essential, before you opt for a specific diagnostic facility, you can call several centers and select the appropriate options. In addition, note that in private clinics, as a rule, the faster you can get the result of the study, due to lower utilization of staff.